Earn cash for our schools by clipping Box Tops! 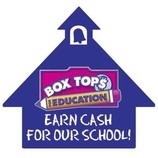 Box tops can be dropped off to the PTO at anytime, however they are only submitted for rewards twice a year (October and February). 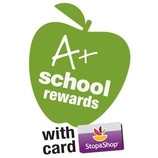 Each year from October thru March, our school will have the opportunity to earn cash through the Stop & Shop A+ Rewards Program! It's Simple! Just register your Stop & Shop card online. Once you're registered, each shopping trip at any Stop & Shop using you card earns CASH for our school! You can see how we are doing at anytime by viewing our school. Whenever you shop on Amazon.com, you can earn money for our school. Just click on the links from the Ben-Hem PTO website, or bookmark our Amazon URL (http://amazon.benhempto.org).